The local bandleader appears on the cover of our Best of the East Bay issue this week. Sharp vocals and high energy live clips burst out of the latest video for Fantastic Negrito’s award-winning song, "Lost in a Crowd." These official visuals accompany a song that explodes with grit at the absurdity and loneliness of modern capitalism. And yet, Fantastic Negrito combines that raw, ferocious expression with straight-up gentleness. In one moving image shot from across the audience, Negrito waves his mic wand-like across the crowd, as if seeking the inclusion of their voices. 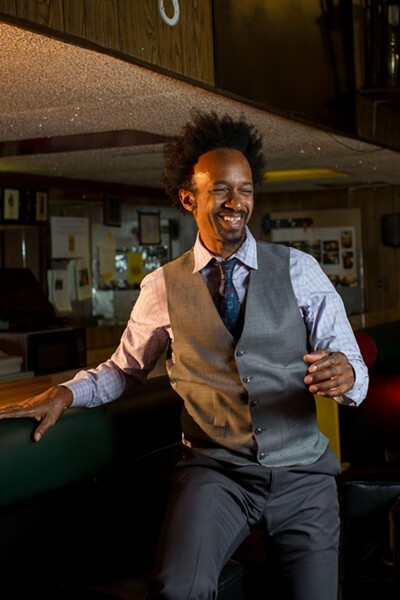 This video release happens to coincide with an East Bay Express cover portrait of Fantastic Negrito for our Best of the East Bay issue. We awarded him Best Roots Bandleader. It's also an opportunity to revisit our March feature story about the artist’s incredible rise to fame through the NPR Tiny Desk Concert 2015 award.